When the seventh seal is opened, the seventh trumpet sounds, the Church goes up in the twinkling of an eye and then God pours out his wrath. The sixth seal involves an earthquake, signs in the sky, stars falling to earth and the heavens receding like a scroll being rolled up. The kings of the Earth, princes, general, the rich and mighty and everybody tried to hide form what was about to happen in the next seal. For the time of God’s wrath has come. God’s wrath will not be poured out until the Church is removed and the 144000 are sealed. This is exactly what happens next and then the seventh seal is mentioned. 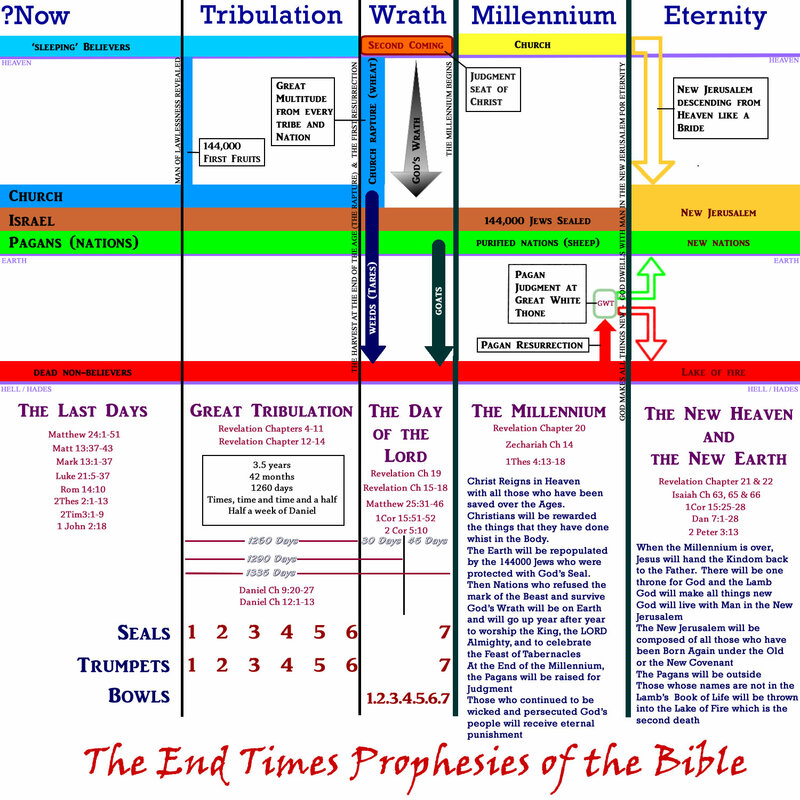 The sealing of the 144000 and the rapture of the Great multitude could well be what the seventh seal is all about as the names on the little scroll are not known until the seventh seal is opened. When the scroll is opened the rapture an the first resurrection take place. The Harvest at the end of the age. The Wheat and the Tares. A good explanation of the wheat and the tares with a funny twist at the end. God’s field will be Harvested by the angels at the end of the age. Of note, the tares will be Harvested before the wheat. The answer is in revelations chapter 14. The Church is raptured before the millennium. The nations are left behind to suffer God’s wrath. Some will survive to be the nations on Earth during the Millennium. The dead outside of Christ are not raised until after the millennium. They will be Judged at the Great White Throne.